Our mission is to introduce people to Jesus Christ and to encourage the cultivation of a personal relationship with Him. We are, therefore, committed to Evangelizing the Sinner, Exalting the Savior, and Equipping the Saints. Our vision is to have Bible-Centric Ministry that we will Reach, Rebuild and Reproduce Disciples through the power of the Holy Spirit. EXALT the Savior through dynamic worship. EVANGELIZE the Unbeliever through outreach. ESTABLISH the New Believer in the basic doctrines of the faith. ENCOURAGE every Believer to cultivate an intimate, personal relationship with Jesus Christ. EQUIP every Believer to do ministry through gift identification. EDIFY one another through the exercising of spiritual gifts. EMBRACE one another so that everyone feels loved, cared for, and accepted and enjoys being a part of our fellowship. Greetings in the name of our Lord and Savior Jesus Christ. To God be the glory for the things He has done. It is with great joy that I welcome you to Canaan Baptist Church of Paterson, N.J. I am so glad that you have chosen to visit our website to learn more about us. Our congregation consists of devoted members who are working together to meet the needs of the people of God and the community. We are a group of people committed to GROW in Jesus Christ through Grace, Reliance, Obedience and Wisdom. Our teaching is Bible based and Christ centered. We believe the Bible is the inspired Word of God and Jesus Christ is the only way to eternal life. I invite you to come worship and fellowship with us during our weekly worship services, bible studies, and prayer meetings. Canaan Baptist Church is a church where no one has a right to feel strange. We look forward to seeing you soon where a seat is waiting just for you! 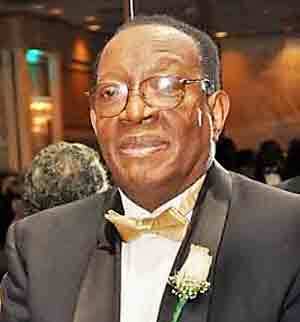 Reverend Barry L. Graham was born in Englewood, New Jersey to Rev. Dr. Gadson L. Graham and Harrie Maude Graham. Reverend Graham was educated in the Englewood, New Jersey public school system and graduated from Dwight Morrow High School. He is a graduate of Computer Processing Institute a Division of Computer Systems and Education Corporation. He attended Bergen Community College, Paramus, New Jersey and the Hawthorne Evening Bible School, Hawthorne, New Jersey. Reverend Graham also attended Nyack College in Nyack, New York majoring in Theology. In 2001, Reverend Barry Graham graduated from New York Theological Seminary. Rev. Dr. Gadson L. Graham retired in early 2015 after 55 years of being Pastor at Canaan Baptist Church. On March 22, 2015 Rev. Barry L. Graham was installed as Pastor of the Canaan Baptist Church. 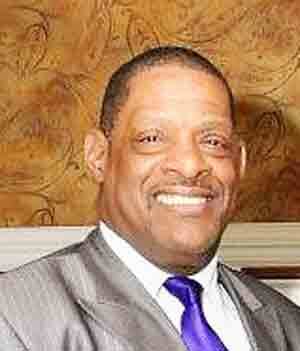 Reverend Barry L. Graham is the Director of the Canaan Men’s Fellowship (The MAC), Men at Canaan. He is a member of the Baptist Ministers Conference of Greater New York and Vicinity, The Hampton University Minister Conference, Habitat for Humanity, Paterson, New Jersey, as well as a member of the NAACP, The Advisory Board of Rutgers University School of Nursing and Operation Cease Fire of the City of Paterson and State Attorney General Office. Reverend Graham cares about our youth, not only the children in Canaan, but also the children of the community. He formerly worked with the Canaan Recreation Department, during the summer and during the school year. He worked with the children in the After School Program and Computer School, which was opened to the entire community. Reverend Barry L. Graham started the True Love Waits Program in partnership with the Second Baptist Church and New Christian Missionary. Since becoming Pastor, Rev. Barry has instituted several new ministries. His motto: A Spirit of Excellence is increasing our membership daily. He lives what he preaches people love him. Reverend Barry L. Graham is a devoted and faithful husband to Joelle Graham, a father of two, Brandon and Latricia and a proud grandfather to Londyn. Rev. Gadson L. Graham is the Pastor Emeritus of Canaan Baptist Church in Paterson, New Jersey where he preached the Gospel for 55 glorious years, before retiring due to his illness in March 2015. Rev. Graham is a native of Lake City, South Carolina where he was educated in the public school system. He graduated from Shelton College in 1965. Among his other educational achievement, he studied at the Jewish Theological Seminary in New York, attended Yale University, 1975-1976, received a Master and Doctrine Degree in Theology, Camille, GA, studied at the Jerusalem Center for Learning and toured parts of Africa in 1985 with education opportunities. Pastor Graham was named pastor of the year in 1975 by the Brothers in Blue (Policeman’s Fraternal Organization). He traveled extensively throughout the world and has preached on 5 of the 7 continents. He also was the official Touch Host for the State of Israel and was invited by the Israeli government to tour Israel with the Commission of the Inter-Religious Affairs. Rev. Graham’s achievements are many which include being Past President of the Board of Director’s Ecumenical Pre-School, Paterson, NJ, President of the Advisory Board of Rutgers School of Nursing in Newark, NJ, member of the Baptist Minister’s Conference in New York and Vicinity, the Hampton Ministries Conference and the National Baptist Conference, USA, Inc., For many years Rev. Graham taught classes at the renown Cornerstone Baptist Church Institute in Brooklyn, NY. Under Rev. Graham’s leadership, Canaan’s first foreign mission was founded, The Haitian Project in Leogane Haiti. The Haitian Project operates a farm, 2 churches, 2 schools, a clinic and supports a nursing home for the elderly. He attended the Third African American Summit in Senegal, West Africa, and the Fourth Summit in Harare, Zimbabwe and the Fifth Summit in Accra, Ghana. He also toured The Holy Land in Egypt and was honored to attend a pre-summit reception where he met the Honorable Nelson Mandela, President of South Africa 1994-1999. Later at a state dinner in Harare, Zimbabwe, he met His Excellency Robert Mugabe, President of Zimbabwe. Rev. Graham was CEO, of the Canaan Economic Development Corporation where he established the following programs: Health Ministry, Food Bank, Summer Camp, After-School Program, Computer Learning Center, First Book and a Library which serves the church and community. Dr. Graham is married to Mrs. Harrie Maude Graham. Out of this union, they have three children, Timothy, Gertha and Reverend L. Graham current Pastor of Canaan Baptist Church. They have two grandsons, Brandon and Devin, a granddaughter, Latricia, a great-grandaughter, Londyn and daughters in laws, Joelle and Ann. Copyright © 2019 Canaan Baptist Church | Website by D.C. Helms, Inc.